That was my reaction as I sampled Joseph’s Cookies and Joseph’s sugar-free maple syrup. Yes, I was having what seemed to be a schizophrenic conversation with myself. I then toted the bag of Josephs Cookies to my living room and had a much-needed seat on the couch and flipped on the television. I was inhaling these tiny sugar-free cookies like an aardvark over an anthill. So as the tv surrounded me in the static light, I sat watching a late night shopping show where the host was overtly energetic and attempting to sell the world’s greatest sponges. Apparently, these sponges are so fantastic that if you drop one into a bucket of water, it will soak the entire thing up. These little cookies kept me so munch-occupied that I figured “Geez, all my friends need a world’s greatest sponge. I’ll buy thirty.” And so I picked up the phone and started dialing the 1-800 number. Now, I want you to know that those sponges have not yet gone to any of my friends. But, my wife has really been thrilled with the new pots and pans scrubbing duty I have been assigned. 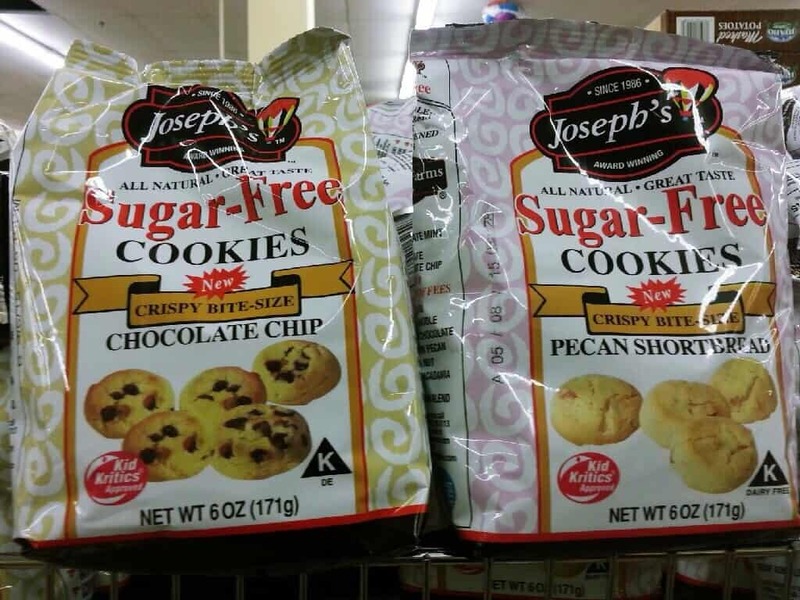 Professional eater opinion: Joseph’s sugar free cookies are addicting. Speaking of late night shopping shows, Joseph’s Cookies have been featured on QVC and have sold out in a record amount of time, the fastest of any sugar-free cookie in the history of the network. 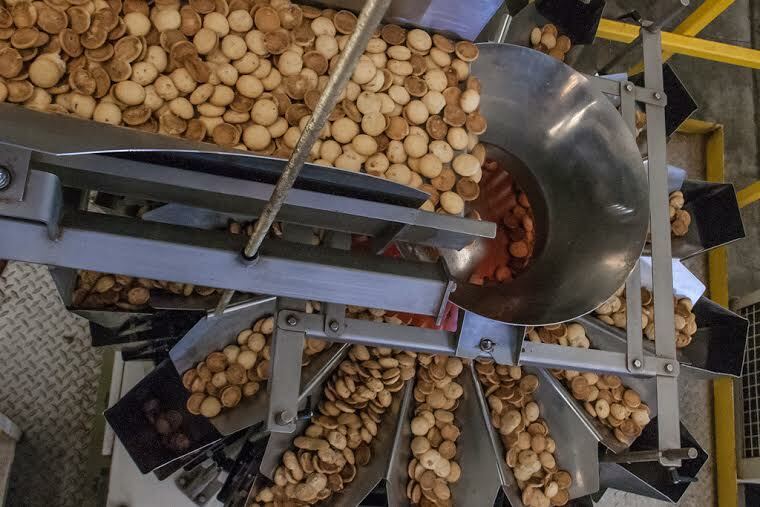 In fact, the cookies were so popular that they sold a staggering 3.2 million bags in a single day. Cookie monster must have been going on a major binge or something. DC LIFE MAGAZINE: Can you give us a brief history of Joseph’s Cookies? 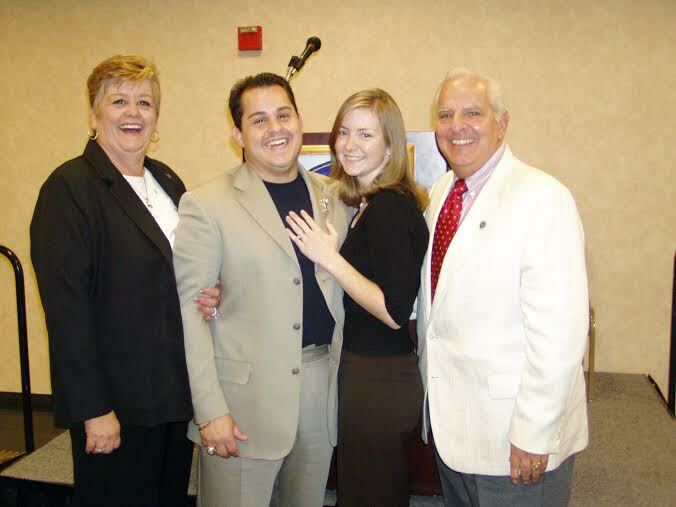 Joseph Semprevivo: My family had been working in the restaurant business throughout my childhood. I was diagnosed with diabetes at age 9 which led to my parents having to pay for my insulin. After a week vacation that my family had been wanting to take for quite some time, we came back to a restaurant that was emptied out because of a manager that we had trusted to oversee the restaurant and discovered that he had embezzled every bit of money, disappearing completely. This broke us and now we had no money to pay for my insulin. I recall my father sitting at the kitchen table with his face buried in his hands in grief and worry about what to do next. My mother, as the strong woman that she is, pretty much told my dad that he has always been good at providing money for our family and to get up and go. The next day my father had landed a job at a local hotel as a cook and soon thereafter, my mother got a job as a hostess at the same restaurant. And so the rebuilding process began. I started making sugar-free ice cream at my family’s new restaurant, flavored only with fruit and next thing we knew, my father and I were selling our ice cream in 197 stores. Then, one of our customer’s freezers broke down and a thousand pints of ice cream were destroyed. To make matters worse, we lost another thousand pints of ice cream from another freezer break down immediately after that. This was a major financial blow. Next step, my parents developed a sugar-free cookie based on the struggles the ice cream business faced (regular loss of product with dependence on grocer’s freezers) and now this was the start of what would become. DC: This isn’t just a diabetics cookie, this is also a good cookie for those that watch their health, or may be on a diet. What else can you tell me about that? JS: You’re spot on. Also these cookies are for anyone who is sugar-free, vegan, or kosher and there are only 5-7 ingredients in all of our products. That’s it. JS: Actually, they are all natural. No spelenda. No stevia. No maltitol. And is recognized as all natural by the FDA. 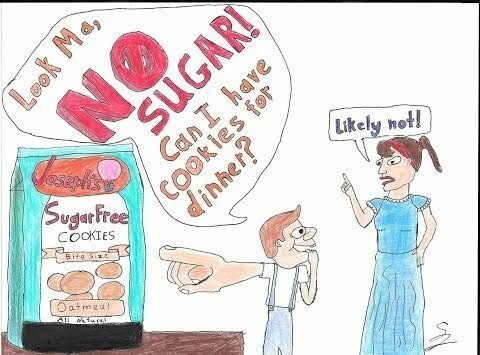 So you wont have that funny aspartame sort of after taste with the Joseph’s Lite line of products. DC: Where can one find Joseph’s Lite Cookies for sale? JS: Retailers such as Whole foods, Wegmans, Walgreens, CVS, Big Lots, Dollar Tree and more. DC: One thing I was really invested in hearing more about what was your interest in having Joseph’s Cookies being socially responsible in the work environment. What can you tell me about that? JS: This is very important to us. Our team members are an intimate team and we are only as good as each other. No one is any better than anyone else. All of us working together is the way we succeed and we value commitment and treat our employees with the highest regards of respect. For instance, one of our tenured factory workers, Linda, has been with us for 23 years. She is a very, very loyal employee. She sets the perfect example of dedication and hard work. 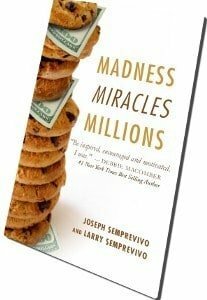 DC: Your story, as entailed in your book “Madness, Miracles, Millions”really is a document of overcoming obstacles and hard work. Pretty much the principles of what America was founded on. Do you feel that there is a huge gap in the older generations definition of hard work and the newer generation’s definition of hard work? JS: As for a huge gap, not necessarily. It’s just the way it’s reported it seems. I think ultimately you just need to understand that you can never give up and you must stay hyper focused on your dreams and desires. All falls into place over time. DC: What advice do you have for the aspiring entrepreneur, coming from one who started out this way? JS: You’ve just got to be passionate. Ask yourself if you could do this for free because you love it that much. Could you gladly not even expect financial reward for ten years? If so, then stick it out and it will be worth it. DC: So, it is that time of year again that the Girl scouts are selling their infamous “Girl Scout Cookies”. I propose that the Boy Scouts sell Joseph’s Lite Cookies and compete. Take that Girl Scouts! JS: (Laughs) I love it, funny. That would be great, wouldn’t it? The recipe provided below is courtesy of Mr. Semprevivo and it’s nothing short of delicious. Enjoy! 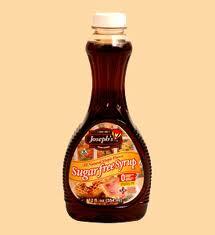 Joseph’s Lite Sugar-free syrup. Nothing artificial about it. In a bowl, whisk eggs until smooth. Add Joseph’s Sugar Free maple syrup, butter, vanilla, salt and pecans. Pour into pastry shell. Bake at 375° for 40-45 minutes or until a knife inserted near the center comes out clean. Cool on a wire rack for 1 hour. Store in the refrigerator. Yield: 8 servings.